Rome – Adorned by the mighty Colosseum, The Vatican and St. Peter’s Basilica with masterpieces such as Michelangelo’s Sistine Chapel is a destination full of history and without a doubt one the most beautiful cities in the world. With millions of tourists coming from around the world to discover a romantic blend of culture, history, delicious gastronomy and excellent wines. If you are wondering why we start with Day 5 then to clarify this is a continuation of my first Blog where we started our trip in the beautiful Amalfi coast and now heading to Rome and The Vatican. The train journey from Naples to Rome is just over an hour and we reached Rome Termini late in the afternoon. We got off the train and walked towards the exit and there was the big M (McDonld’s) staring right at our faces. With no junk food for the kids over the last few days this instantly brought a twinkle in their eyes. We picked up a quick take away and headed to our hotel. Rome like any other major cities in the world is well connected with plenty of options to travel within the city. Just outside the station you have the choice of using the bus/underground/taxi. Yes you can get an UBER as well in Rome. We took a taxi from the stand outside the station which took us to our hotel in around 15 minutes. Our hotel in Rome was located right near the Colosseum. A quick check in and we decided to head to the magnificent Colosseum which was a short walk away from our hotel. Check with your hotel as most of them give you a free 24hr or 48 hr travel pass these days. This was my second visit to Rome and must say very crowded due to the summer holidays. If you are travelling in the summer holidays (July to early September) please be ready to face huge queues everywhere you go. After a walk around the Colosseum ventured into town and our first stop was the iconic Trevi Fountain. Once you are in close proximity of this site you are walking distance from most of the famous tourist hot spots in Rome. After spending some time near the fountain and having our very own photo shoot we walked over to the much talked about MAGNUM Pleasure Bar. This is just opposite the fountain and can’t be missed. Kids will love it and must say so did I. Next stop was going to be the famous Spanish steps which has showcased in many movies including the film Roman Holiday, starring Audrey Hepburn and Gregory Peck, which made the Spanish Steps famous to an American audience. As we sat on the steps the kids played around and made some new friends and this was the perfect place to finish off our first day in Rome. We had dinner in a restaurant just around the corner where they showcased some handmade pasta on the window. A nice meal and time to head to the hotel. We headed back to the hotel in one of the local buses and yes they run frequently till quite late at night. The next 2 days were spent in this beautiful city and I must say cities like Rome & Paris only get more beautiful when you have leisure time and are not in that mad rush to tick boxes and visit every single tourist site. This was my second visit to Rome so I had done my share of rushing from point A to B within timescales. I was with the kids and wanted to give them a flavour of the history and grandeur of this Mega City which would help them as they study about the great empire in the next few years. Today we start the day with a late breakfast and a swim in the rooftop pool which had beautiful views of the Colosseum. Most of the tourist sites start getting crowded quite early so we decided to have a late start. We casually walked through some of the most iconic sites of Rome later that day starting with The Pantheon into Piazza Navona and Piazza Venezia. We had a quick lunch today nothing too fancy and moved on to sample some of the famous gelato. We visited the Colosseum later that day and thanks to some of the locals who advised us that it is much less crowded after 3pm. You still have 3 hrs which I think is more than enough to see it from the inside. Just a tip for most tourist attractions there are a lot of tour guides selling fast entry tickets to the sites for astronomical figures. Just to give you a flavour we were asked to pay over €100 in the morning for the 4 of us and we paid just under €25 when we stood in a short line later in the day. After spending some time inside we walked back to the hotel and relaxed before setting out for dinner. We had dinner at this very nice restaurant called Baccano’s just near the Trevi fountain. It is a bit high end but the food is amazing. There are plenty of restaurants around this area and it is quite lively till very late at night. We skipped desert at the restaurant similarly as most nights due to the choice of Gelato parlour available all through the Amalfi coast and Rome. We started walking to one of the oldest Gelato parlours in Rome called Giolitti. www.giolitti.it. A must when you in Rome. After spending a few hours inside and yes you can spend a whole day here we took the bus and headed back towards the centre of Rome. The bus is the cheapest and quickest option and it does give you a feel of the city. They are air conditioned and run frequently. You get to see many monuments as you go through the city which is an added benefit if you don’t want to walk all the way. We had a quick lunch in one of the many Pizza restaurants and headed towards our hotel for some well deserved rest and a swim on the rooftop pool overlooking the Colosseum. Our last evening in Rome was again spent walking through the streets and soaking in all the history this lovely city has to offer. We finished off once again at another Gelato parlour this time the famous chocolatier Lindt. Our last and final day in this beautiful city/country. Its been an absolute amazing trip from the historic town of Pompei to the beautiful town of Positano. The beautiful waters of Capri to the grand city of Amalfi and finally finishing of at the great Roman Empire capital. We had an afternoon flight back to London so we spent the morning doing a bit of retail therapy before heading back home. As they say you can’t beat the Italian in fashion and yes it’s very true. You can get some very good deals with both designer and local brands. The linen and shoes you can’t beat so go on spoil yourself before you fly back home. 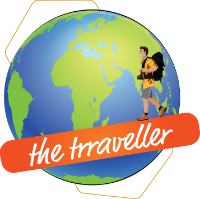 Hope you enjoyed reading this first blog of mine and it helps you plan your trip. Happy to help with any queries you have so drop me a line if you want to know anything. Do like and share and wait for my next blog. Addios till we meet again…. Great post! Please continue writing awesome blog like this. Looking forward for your next post. Very well designed blog overall, loved this particular one on Rome and Vatican, one of the best places I have been to for its rich heritage, art, history, culture, food, they seem to have it all. This is a very good portrayal through your blog and the hints and tips that you have provided for anyone travelling for the first time is indeed quite handy. Great initiative, keep visiting, keep blogging! Thanks for the kind words. will try and keep up. It’s always my dream to visit Rome but the idea of standing in long queues is what turns me off. i love Italy and my favourite city so far (in Europe) is Rome. Its people, language, architecture, weather.. everything is perfect!! I️ would LOVE to visit Rome someday! Beautiful photos!! I’ve never been in Rome, but this amazing city is on my bucket list! great informative post on italys most famous city !! Great post. I’ve been in Rome, Venice and Lido Di Jesolo and I’ll would like to go in Rome again. I am you had a great time there. Great post. I’ve been in Rome, Venice and Lido Di Jesolo and I’ll would like to go in Rome again. I am glad you had a great time there. I love to visit Rome. I like all the countries you had visited already. Will check this again when I’m gonna visit Rome and Vatican. Your website is very informative with nice tips. Thank you. I love Rome! This looked like an amazing trip, I love your itinerary! I have never been to Rome but it is always somewhere that I would love to visit. Maybe one day 🙂 Lovely photos. Your photos are beautiful! Rome is on my bucket list and this just makes me wish for that vacay so much more! Wow! You’re photos really shows the best of Rome. I’ve never been there, but hopefully I’ll make it there one day. Hope you had an awesome trip! love this! these photos are incredible. ive been to rome and its so spectacular! Rome through your eyes looks incredible. It looks like you had the best time exploring and taking in all the sights and culture Italy has to offer. This is so cool! I have always wanted to visit Rome! I just loved seeing all the pictures! Rome was our last trip abroad before the baby came. We’ve been all over Italy but Roma is special isn’t it? Rome is on my bucket list of places to visit. Great tip about the time to visit the Colosseum, the locals are the best people to find out these things from. This is such a detailed and informative post on Rome. You are absolutely right in saying that if you want to take full advantage of the sights it’s best to do it at leisure to fully appreciate the history and culture. What a beautiful place to visit. I have someone I know from High School who went here recently, I adored seeing all of the beautiful photos. Such a gorgeous place to visit. Trips like these with kids are so valuable. I love that your hotel was just minutes from the Colosseum. What a terrific family experience overall! We just go home from Rome and had the most amazing vacation. The scenery is really beautiful. Your post made us appreciate our experience more. Oh wow Rome has been on my wish list for years. It kooks amazing and now I want to visit even more so! I would love to visit Rome. Italy is definitely at the top of my travel bucket list. Love all of the sights that you shared! Wow! Rome is really one of my dream destinations. I’m glad that hotels give tour passes. That will be great savings! 😀 Excited to go on this trip! I just read it again. You brought the the alive with this beautifully written post. Thanks Amar. It has been a long time since I visited Rome. You’re right that the city needs to be enjoyed slowly. I wouldn’t have thought to ask the hotel for a visitor pass. A good idea to get tickets online for crowded places like the Sistine Chapel. Now I know not to go back during the summer. I still remember the Spanish Steps and I’ll be sure to look for all those gelato recommendations! It’s a place which you can visit again and again. That was so lucky you listened to the local’s advice on visiting the Colosseum after 3pm. What a rip-off with the tickets. Still, it sounds like you all had a wonderful time exploring the city and seeing the city’s best attractions. Thanks for the tips on visiting the Vatican; it’s such a must, but I’ll definitely ignore people trying to sell overpriced tickets! It’s always handy to take tips from locals. Some excellent tips here – 24 and 48 hour pass as well as visiting the major attractions later in the afternoon. It has been a while since I visited Rome, it is time to return. I love this city. Thanks for sharing. Like visiting again and again.